The element ‘fire’ is – in relation with the light and life-providing sun – in most cultural experiences of prime importance. The Pythagorean Hestia (or ‘central fire’) was, according to Theophrastus in his treatise De Igne (‘On Fire’), unmovable (COUTANT, 1971). Copernicus quoted this view in his argumentation for a heliocentric world (DUHEM, 1958). Fig. 239 – The act of Prometheus stealing the fire of the gods, as given in Pierio Valeriano’s ‘Hieroglyphica‘ (Lyon, 1586). 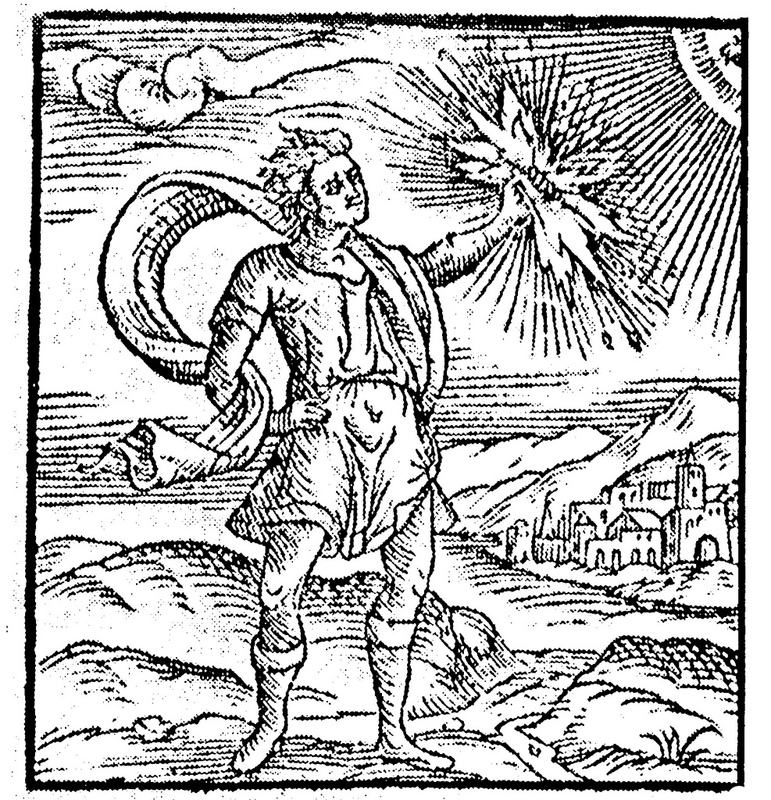 The first (Latin) edition of this book (Basel, 1556) was initially an interpretation of the Hieroglyphica by Horapolion (fifth century). The latter treated the symbolic and allegoric meaning of the Egyptian hieroglyphs (printed in Venice in 1505 in the Greek language). In: CAMPBELL & MOYERS (1990).